“Known” as Nobody in the eighties and nineties, Raoul Chiesa starts his web aventureat the age of twelve. In the first place, he sneaks into militar and governative institutions and banks too. Internationally famous, he affirms his role and shows his skills sneaking into Banca d’Italia in 1995. Shortly after, SCO (Central Operative Section of the Italian Police), on a FBI hint, arrests him with thirteen different charges. After persuading the enquirers of his good faith, he spends four months in house detention. Finally, this event makes him leave the dark web and start working on cybersecurity. He defines himself as an “ethical hacker” and becomes the European leader in cybersecurity helping several governments facing web-related issues. Thanks to his experience and his presence in our team we developed the first italian all-in-cloud cybersecurity suite. Are you looking for a tool which can prevent you from any risk? Basically, if you need any vulnerability assessment, data privacy or code review, Swascan is the ultimate product. Hoe can I protect my business? 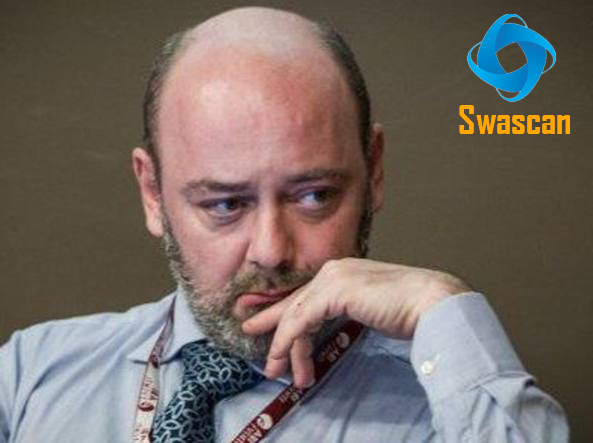 In order to assure to your business the best tool available, Swascan together with Raoul Chiesa developed a special cybersecurity platform. It is completely in Cloud, Pay per Use and SaaS. You can see for yourself in our brochure: Cybersecurity platform and have an in-depth look at our services. Our three services cover all the governance needs in terms of risk management and periodic assessment. Basically, if you need to understand the areas in which your efforts must focus, Vulnerability Assessment, Network Scan and Code Review are the right tools for you. Last but not least, don’t forget GDPR ( GDPR guide ): our platform is 100% GDPR compliant ( GDPR infographic ).